Palmetto Sound Works sales department has a large selection of items available. Whether it's a microphone cable or a full audio, lighting or video set up we have it. We even have some used production gear for sale. Palmetto Sound Works sales department has a large selection of items available. Whether it's a microphone cable or a full audio, lighting or video set up we have it. We even have some used production gear for sale. Our staff of sales consultants have years of experience in the production field, giving us the knowledge that comes from using what we sell. 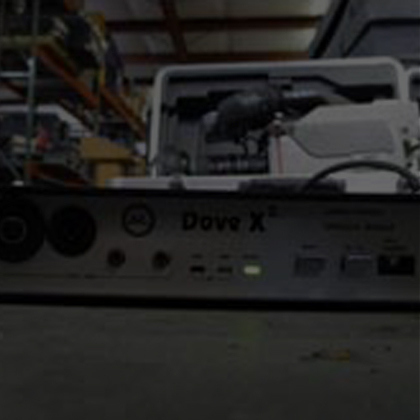 Whether you need a DMX cable or a digital speaker management system, our sales staff will assist you in making the right choice. Please see our links page for a partial line card of manufacturers we represent. "I've worked with Palmetto Sound Works on events for nearly 10 years. It does not matter how small or large the event is, they are always willing to offer helpful suggestions and they always get the job done. Once Palmetto Sound knows our expectations, I don't have to worry about another thing. They work well with all members of our staff as well as our community volunteers. Not only do I have the fullest confidence in their ability to do a wonderful job, all members of the crew are a delight to work with. I wouldn't want to work with anyone else when it comes to events." Palmetto sound works does an outstanding and professional job and I would highly recommend them to anyone. Palmetto Sound Works is second to none! Their quality and attention to detail are what make them exceptional. They are my first and only choice. Palmetto Sound Works definitely knows the ins and outs of their industry. They are excellent with suggestions and always follow through. Many times they have been able to help us out in a bind, especially when they know our tight budget constraints as a nonprofit. Definitely a vendor to have in your arsenal! 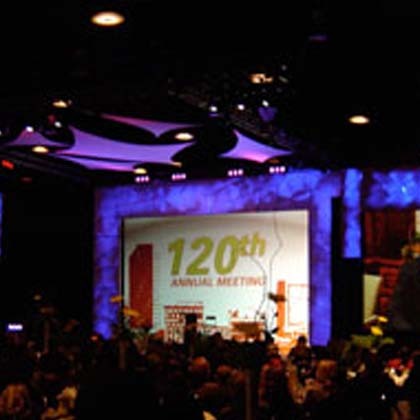 Palmetto Sound Works’ focused and professional approach means our conferences always go without a hitch and they continue to offer sound advice, creative ideas and technical solutions coupled with an amazing ‘can do’ attitude and work ethic. I can recommend them without hesitation to anyone in need of a truly professional, service oriented partner. You guys rock! Palmetto Sound Works is the Spartanburg Memorial Auditorium's #1 choice for production rentals and technicians. Palmetto has a professional and knowledgeable staff with first-class gear. From installs to banquets to full concert productions, Palmetto Sound is the best! First North has been using Palmetto Sound Works for many years. Their professionalism, creativity, and quality equipment is second to none. They have gone above and beyond to assist us with all of our sound, lighting, and video productions needs from a simple screen rental to major events for an audience of thousands. We recently used Palmetto Sound Works for our Easter and Christmas productions as well as shows in Bluffton, SC and San Diego, CA. We felt it was important to use a company we could trust and knew our needs - even thousands of miles away. We highly recommend PSW for all your AVL needs! Palmetto Sound Works is without a doubt one of the best at providing audio, video and lighting support. It does not matter what type of event the university is planning, I can be confident that Palmetto Sound Works will provide top-notch service in a dependable and professional manner. That level of reliability makes all the difference! Palmetto Sound Works are the leaders in Audio Visual Services. We use Palmetto Sound Works for their professionalism, attention to detail, exceptional work ethic and quality of service. A company that will always go that extra mile to ensure great outcomes. The Audio Visual Team always make sure our conferences run smoothly, and are a pleasure to work with. Palmetto Sound Works is one of the finest Production Service companies I work with in the country I value their professionalism, experience, and ability to make production for each concert event easy for both the Promoter and Artist. I would recommend Palmetto Sound Works without hesitation. We love working with Palmetto Sound Works. We know the job is taken care of, and our client will be overly pleased with their performance. We have definitely asked them to work some challenging jobs (sound and lighting wise), and they always come through. Their team is an extension of our team and we are always confident in their work and enjoy every minute as well! Being a national police training organization, I have personally dealt with audio visual and production companies all of the United States for our company's needs. I have never experienced such personable, customer service and comparable pricing as I have with Palmetto Sound Works. My company and I became spoiled when I used PSW, and now we would not think of using anyone else. © COPYRIGHT 2019 PALMETTO SOUND WORKS ALL RIGHTS RESERVED.